May 16, 2018 - Dubai, UAE: Summer is around the corner and many of us prefer wearing less make-up and falsies when going on holiday or spending time by the pool. Thus, getting our lashes and eyebrows to look naturally voluminous may seem like the ultimate solution to ditch using make-up during hot summer days and enhance natural beauty. 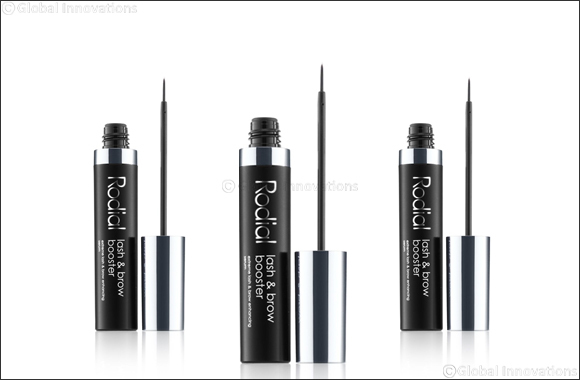 Rodial’s lash and brow booster serum (AED 362.25) is a high-performance serum that helps strengthen, condition and encourage the natural growth of eyelashes and eyebrows. Formulated with a powerful peptide complex that is clinically proven to lengthen the look of lashes, whilst protein and Vitamin B5 helps thicken and volumise eyelashes and eyebrows. Directions of use: Apply a thin line on the base of your eyelashes and a thin layer along your eyebrows every night. Rodial products are available from Harvey Nichols and Bloomingdales.